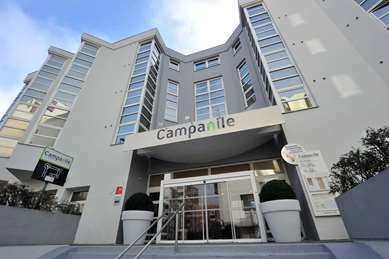 Want to live the high-life in Reims, where Champagne is always flowing ? 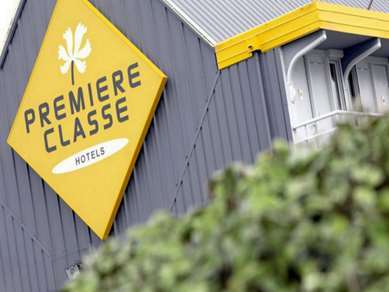 Enjoy a trip to the pretty city with Premiere Classe hotels. Beautiful Reims is regarded as the effective capital of the Champagne-Ardenne region, located 129km north-east of Paris. The city is extremely proud of the champagne produced in the surrounding area, and celebrates its gastronomic heritage. Three areas in the city are UNESCO World Heritage Sites, and it boasts refined Champagne Houses and elegant Art Deco architecture. One famous landmark, its cathedral, was formerly the coronation place of the royalty of France and has been partly destroyed and restored over time. Today, Reims has become a modern and lively city, partly down to its location at the crossroad of several European routes. 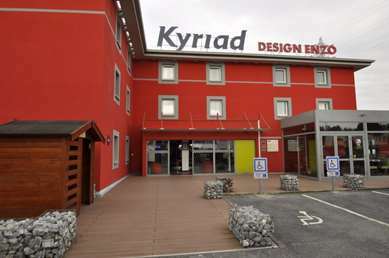 It has a successful economy and boasts first-rate teaching and research. The Institut d'Etudes Politiques de Paris, the leading French university in social and political sciences, has a base in the city. This, wide avenues and well-tended parks all contribute to what is an attractive and vibrant place to visit. Two days is enough time for Reims to charm you. Spend the first day exploring the stunning architecture of the place, stopping off at quaint cafes and bars. 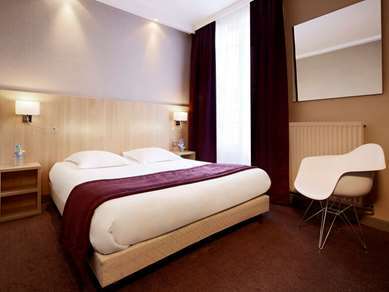 The Premiere Classe Reims Est – Taissy hotel is just 10 minutes from the cathedral. For dinner, head to Le Becol for seafood. The second day could be spent undertaking one of the many champagne-related tours available. Taittinger and G.H. Mumm are popular choices for cellar tours and presentations. A week is the perfect amount of time to get thoroughly to grips with this magical city. Spend a good amount of time exploring the Cathedral of Notre-Dame de Reims. Take the plunge and climb the 250 steps to the top of the tower on a one-hour tour. Place Drouet d'Erlon, which lights up in the evening, is great for pubs, restaurants and shopping in a bustling environment – don’t miss Galerie d'Erlon. Travelling with all ages to Reims is no problem. Take kids to the Mars Gate, to see a fantastic piece of Roman architecture. Kids will also be interested in how champagne is made. G.H. Mumm's winery welcomes visitors with a video that explains all. An in-house museum exhibits casks and illustrates the ancient role of the vintner. And, during a one-hour tour, a guide will lead visitors into a labyrinth of cellars. Reims is served by two main railway stations : Gare de Reims in the city centre and the new Gare de Champagne-Ardenne TGV 5km southwest of the city. The A4 and A26 motorways intersect near Reims. To get around within the city, use the buses and trams. 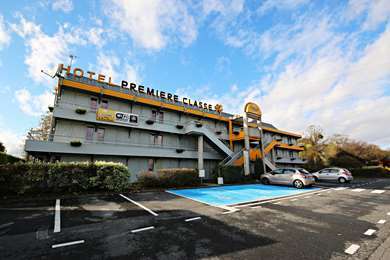 The Premiere Classe Reims Sud – Murigny hotel is great for access to the city. 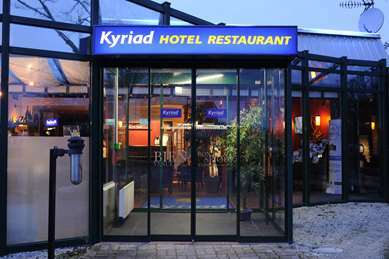 While champagne continues to be its most famous product, Reims has numerous culinary treasures. The town's gingerbread is renowned, its secret being that it is made from rye flour instead of wheat flour, and the Biscuit Rose is popular for dipping into champagne. These delights can be experienced all over the city. Every year Reims celebrates the memory of French patron saint Joan of Arc with a festival of shows and historical living demonstrations. Reims' annual Flâneries season offers over 100 free concerts, some at unusual locations such as museums, cafes, parks and factories; the repertoire ranges from classical to jazz music, with two concerts each day. German bombardment and a fire in 1914 severely damaged Reims’ cathedral. The ruined church subsequently became one of the central images of anti-German propaganda produced in France during the war. It was presented, along with the ruins of the Cloth Hall at Ypres and the University Library in Louvain, as evidence that the Germans targeted cultural landmarks.